The phrase “pour and ignore” is not how you want people to refer to your tasting room. Sure, on a busy weekend afternoon, it becomes a challenge to give each customer undivided attention, but this should be the exception not the rule. We know from hundreds of mystery shops that there is a huge correlation between guest satisfaction and the interaction the guests have with winery staff, so more needs to be done in the tasting room than just pouring wine. Beginning Oct. 16, prior express written consent will be required for all autodialed and/or pre-recorded calls/texts sent/made to cell phones and pre-recorded calls made to residential land lines for marketing purposes. See the new rules from the Telephone Consumer Protection Act (TCPA) here. Spice up your wine sales We say we are the "World’s Best Mulling Spice" for a reason: It's true. Wholesale orders log in with username: wholesale, password: makemoney. Attract buyers to your tasting room Is your vineyard a destination or a quick stop on a long tour? 93% voted trails most desired. Learn why. A vast number of enthusiastic tasting room staffers have a tendency to be so happy to share their wealth of knowledge about the winery, wines and other information that they tend to treat each guest as a potential audience to present to. While much better than "pour and ignore," merely regurgitating facts and giving a presentation without any input from the guest tends to be too one-sided and lacks the much-needed interaction. In a presentation, you talk at a person and it becomes a monologue. No matter how professional, educational and entertaining it is, it’s just a one-way street. And, unfortunately, monologues don’t build relationships, get club members or sell wine. Dialogues do. Is your staff talking at your guests or with them? In a dialogue, you talk with a person in a relevant conversation asking questions and exchanging information. You still work in all the key points about your wine and winery, but as a natural part of the conversation. Figure out (by listening to) what your guests are interested in and convey the information back to them in a way that is tailored to their preferences. The best way to find out what your guests are interested in and what their needs and wants are is to ask open-ended questions. By asking the right rapport-building questions, you’ll find out more about your customer—what their relationship is with your winery, with wine in general and what they are going to be most receptive to. You can accurately profile customers—and then adapt your “sales pitch” accordingly—by engaging them in conversation. This will give you clues about how to sell to the individual in front of you. Dialogue leads to building rapport/establishing a relationship, which leads to trust, and trust leads to sales. More dialogue not only leads to more sales, but customer satisfaction is actually much higher because guests feel that they had a unique experience, tailored to their preferences. So dazzle your guests with dialogue that engages them, and watch your customer satisfaction scores rise along with sales. You can’t just pop in to Jordan Vineyards & Winery and belly up to a tasting bar on any given day, as you can at hundreds of wineries in Sonoma County, Calif. The Alexander Valley winery instead offers tastings, events and customer experiences by appointment. And rather than a wine club, Jordan has a member program that grants rewards points as customers buy wines. 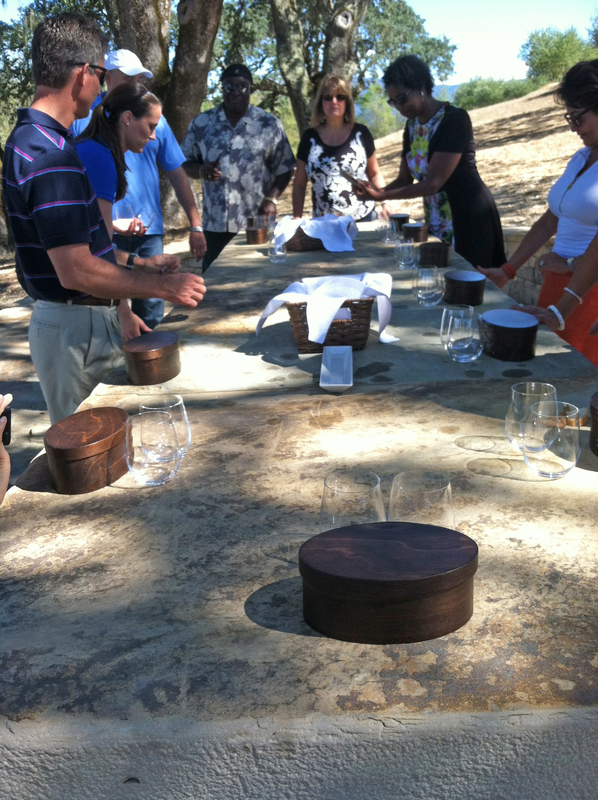 Member rewards include a variety of tastings, meals and special events at the winery. The newest customer experience, which the winery will roll out in early September, is a multi-stop, three-hour tour encompassing all aspects of the 1,200-acre property. Tour groups of 12 or less are ushered onto a Mercedes van that Jordan ordered custom for these excursions. At front sit driver George (they coaxed him out of retirement from his career as a Golden Gate Transit driver) and the guide for the group—in our case Claire, whose knowledge of all things Jordan is impressive. First stop, just behind and down a hillside from the grape-receiving area, are the estate gardens, a chicken coop and a paddock housing two rescued miniature donkeys, Goose and Maverick, named through a winery Facebook fan invitation. CEO John Jordan, an avid pilot, loved the names. We were invited to explore, pick and taste a tomato, a pomegranate and a pear while Claire explained the organic cultivation and growing methods, what’s in season, and how chef Todd Knoll uses the various cooking ingredients to complement the wines. Driving away from the first stop, guests are treated to a view of the large hillside solar array, which Claire explains produces 95% of the electricity the winery needs. Jordan was certified carbon neutral in 2009. The van passes a pond (one where the vineyard manager was seen fishing one Sunday morning pre-harvest), and Claire explains it’s the treated water from winery use, for irrigation on the property, and yes, it’s healthy enough to support fish life. The van drives past an olive orchard—one of several orchards on the grounds—with three varieties of olive trees. The winery produces estate olive oil now, pressed by a company with a mobile olive press, and at Olivino in Hopland, Calif., when the mobile mill is unavailable. Stop 2 is a shady oak grove across from a man-made fishing lake stocked with bass and several other types of fish. Under the oaks, a 20-foot stone table and small terrace have been set with tiny wooden boxes and stemware by mysterious kitchen elves. From underneath the stone slab, in a recessed refrigerator, come two Chardonnays (one vintage ago and the current vintage). Each guest’s wooden box contains delicately pickled vegetables and a perfect nigiri sushi topped with thin slivers of fresh peach. Bread and the estate olive oil are passed around. Stop 3 is between a block of Malbec and one of Petit Verdot, where guests are invited to taste the grapes while the guide explains véraison, sugar building in the berries, the differences in sugar levels and tannins found in Malbec vs. Petit Verdot, when each variety ripens, the current growing season and harvest dates from previous years with possible dates for this harvest. It’s clear that the vineyard staff talk to the winery staff frequently, and the cross-information is generously shared. George the driver then takes guests up and around to the highest point on the property, about 600 feet. The final stop is called Vista Point, with 360-degree views. Guests can see all the way to Cloverdale in the north and the Russian River area to the west. Vista Point’s pavilion has windows instead of walls and an enormous hammered-copper table as its centerpiece. The elves have visited again, this time leaving bento boxes filled with bits of ripe fig, cheeses, a sliver of chive, more bread and olive oil. And to pair with the two Cabernets guests are about to taste (in this case, the 2002 and the most recent release), a small metal pot contains cooked and cooled rare beef (or mushrooms for the vegetarians), shaved beet, more lightly pickled vegetables, a sprig of rosemary on a bed of organic barley. Claire is finished being tour guide and lets the group relax, enjoy the pinnacle of the experience, snap pictures of each other and the views, and talk amongst themselves and with her. Inviting top customers to view a not-quite-finished tour experience and offer feedback, shows an unusual amount of openness, trust, engagement, and personal interaction between the winery and its customers. Sonoma State University offers CANVAS scholarship for Tasting Room Management Certificate: The Concierge Alliance of Napa Valley and Sonoma (CANVAS) has created a scholarship that will support an individual working toward completing the Tasting Room Management Certificate at Sonoma State’s Wine Business Institute this fall. The scholarship will include funds to pay for the certificate program and membership in CANVAS for two years. Learn more here. New Epiphany tasting room in Los Olivos: Designer Olivia Villaluz, whose work includes the Sunset Marquis (West Hollywood) and the Crescent Hotel (Beverly Hills), adds her modern, breezy aesthetic to the new tasting room experience at Epiphany Cellars. Read more here. Cal Poly Wine & Viticulture Program elevated to department status: Cal Poly’s College of Food, Agriculture & Environmental Sciences (CAFES) today announced that its popular Wine & Viticulture Program has become an official department within the college. The designation as a department reflects the rapid growth of the program. With 250 students, Cal Poly’s Wine & Viticulture Department is the largest of its kind in the nation. In addition, the department is enrolling more than 90 new students this year, the largest incoming class in its history. Cal Poly’s Wine & Viticulture Department offers an integrated educational program that focuses on three concentration areas: enology, viticulture and wine business. 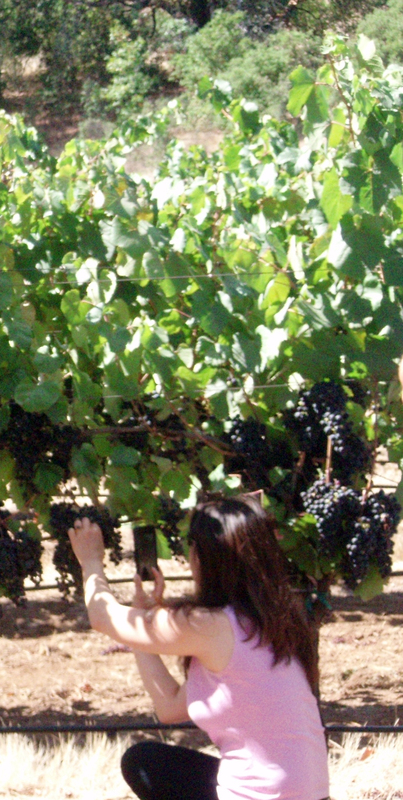 As part of Cal Poly’s "learn by doing" philosophy, all students in the department conduct hands-on work in vineyards and wineries, where they produce a number of wine varietals. As part of the curriculum, all students participate in paid internships at domestic and international wineries such as J. Lohr Vineyards & Wines, Duckhorn Vineyards and France’s Chateau Margaux. For more information, visit wvit.calpoly.edu. Read the latest Wine Industry Metrics here. New California bill expands tastings to craft distillers: A new bill awaiting the governor's signature would go some way to make rules more consistent, allowing all types of distillers to offer tastings for a fee. It caps sample pours at a quarter of an ounce and limits them to six per customer. It will not, however, allow makers of non-brandy liquors to sell directly to the public, leading many distillers to call the bill a hollow victory. “The only way for this world to make sense would be for me to be able to sell my own products,” said Marko Karakasevic, master distiller at Domain Charbay in St. Helena, Calif., and a board member of California Artisanal Distillers Guild. Read more here. Feeling tipsy? New apps read blood alcohol levels, hail taxis: Before getting behind the wheel after a night out, a driver can test his blood alcohol level with new apps that not only give a reading but can call a cab: Read more here. Friends most influential in wine-buying decision: Wine drinkers still rely mainly on recommendations from family members and friends when selecting wine brands and varieties to buy. Read more here. The best way to market fine wine: Teach and learn or wine and dine? Authors of a study conducted two experiments in which they tested 375 participants with varying levels of wine expertise. They concluded that novice wine consumers were able to create a stronger memory of their wine-tasting experience if they better understood the background of the product. Read more here. A skeptic sidles up to the wine bar: Internet daters love the single-beverage bar. But can wine columnist Lettie Teague get behind the craze? Read about it here. VineNotes: Data-capture best practices boost direct-to-consumer wine sales: If a customer leaves your tasting room without giving you personal data, you could be watching years of lucrative sales walk out the door. Read more here. ShipCompliant’s eighth annual Virtual Seminar about direct wine sales and shipping will be held Oct. 17: The complimentary virtual seminar gives members of the wine industry the chance to hear up-to-date news about direct wine sales, legislation and what’s coming to the direct shipping industry. Learn more here. Healdsburg, Calif., has many tasting rooms. One of the newest is Banshee Wines, less than a block from the plaza. Banshee Wines was founded by three friends from the Midwest and East Coast who shared a passion for wine and a lifelong dream of owning their own winery. Their fascination with wine started early in life, and while their peers were drinking Milwaukee's Best, they had an affinity for collecting European wines and hosting dorm room wine tastings. Noah Dorrance, co-founder and winemaker, gave me a great private tasting at the tasting room’s center table, which can accommodate a dozen visitors. The wines are great, and the “pot de rillettes” went beautifully with all of them. The experience was very professional, fun, classy and relaxed. 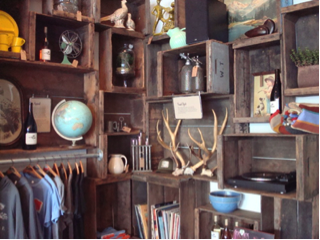 All items displayed as decoration at Banshee wines' tasting room are for sale.